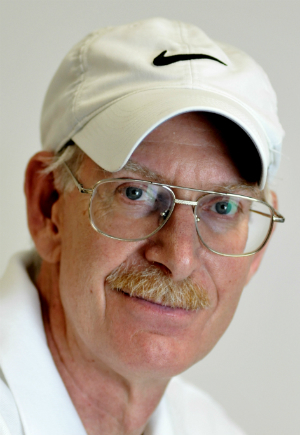 Carol joined Masters HoF 10 years ago. 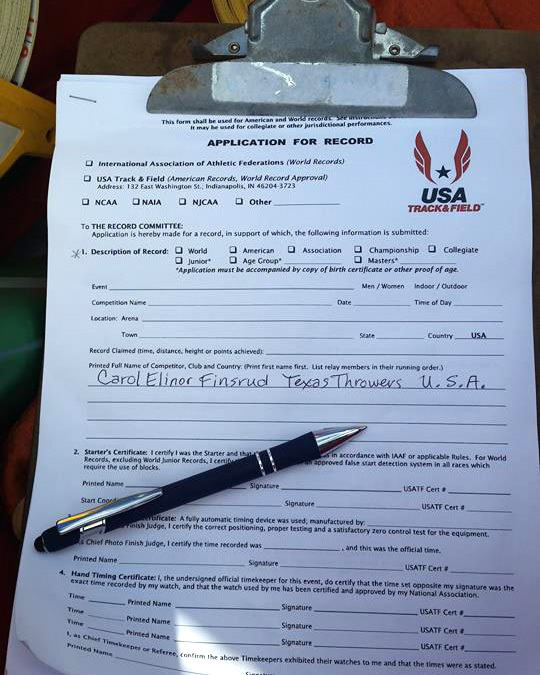 Here’s what we want to see: record paperwork for USATF poised for filling out. What a great performance by a great lady, Congratulations,Carol. Carol, what performances!! Totally admired! Now, please throw for me…… left handed! Fantastic performance by a fantastic competitor & lady!! 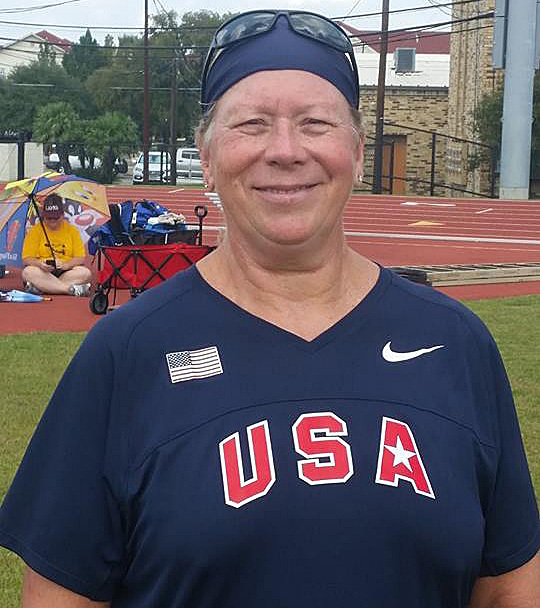 Discus marks (as always) are super impressive but Carol is the complete thrower and demonstrates it well by setting the World Record in the Throws Pent. Carol brings to mind two other outstanding competitors, both of them sprinters: Bill Collins and Irene Obera. We’re talking here about the elite of the elite. I’ve had the privilege of being on committees charged with selecting our outstanding masters athletes, and for some reason I always put down Carol’s name. Like Bill and Irene (Irene ran in two Olympic Trials), Carol has a long history of greatness (Carol threw in the 1992, 1996, and 2000 Olympic Trials), and I feel very secure about giving her a vote. In truth, we’re talking about the level above greatness, whatever that level might be called. Also like Bill and Irene, Carol will never tell you that she’s better than you. In addition, she knows the importance of style and technique, as do the other two athletes. Thanks, Jerry. A pity nevertheless. Yay Carol! What an accomplishment!